The official also said that the Chennai-based Integral Coach Factory (ICF) will roll out the first 100 coaches fitted with bio-vacuum toilets and that these will be attached to premium trains like the Rajdhani and Shatabdi expresses. New Delhi: Stinking and non-functioning toilets on Indian Railways -- one of the world's largest rail networks -- may soon become a thing of the past. The national transporter is upgrading its bio-toilets to imported bio-vacuum toilets -- the kind found in aircraft -- an official said. The first 100 coaches with the new toilets will be attached to important trains like Rajdhani and Shatabdi and would be rolled out from January 2018. "These bio-vacuum toilets will be odour-free and cut down water usage by over one-20th," he said. He also said there would be lesser chances of such toilets getting blocked. The railways' initiative to upgrade the existing bio-toilets came after pesistent complaints from passengers that these were getting blocked due to dumping of waste such as plastic bottles, paper and the like in the toilet pot. Explaining the need of shifting to bio-vacuum toilets, the official said: "Saving water is a priority for the railways." "In bio-toilets, the water requirement per flushing is up to 15 litres. And the water doesn't generate enough pressure to discharge the waste from the pots, resulting in a foul smell and blockage of the pot. "The bio-vacuum toilet only requires about half a litre of water and all the waste is cleared through suction," the official said, adding these had been tried out on a pilot basis in some trains. The official said that the manufacturers of the bio-vacuum toilets have assured railways that the fabrication units would be set up in India. Before the introduction of bio-toilets, lack of cleanliness on Indian trains, particularly in the toilets, was always a big issue. Until then, trains had no system to treat human waste, which was emptied on to the rail tracks. In bio-toilets, human waste wasn't supposed to be emptied on to the tracks but digested by anaerobic bacteria, which convert it into water and bio-gases that are released after disinfection. However, it was found that this hardly worked in practice. 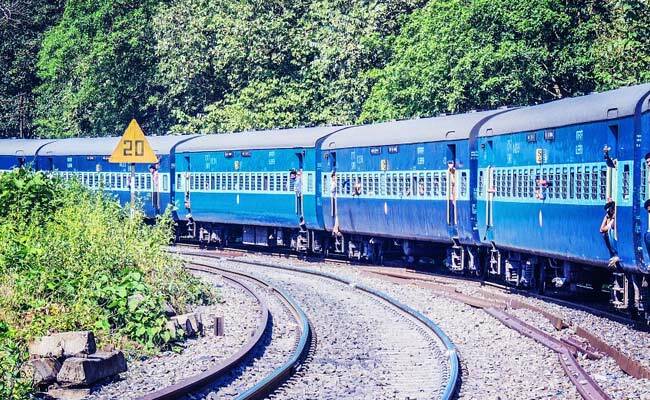 The bio-toilets have been deployed in Indian trains over four years to 2017, at a cost of Rs 1,305 crore, but these are no better than septic tanks, IndiaSpend reported last week quoting a two-year-long study by the Indian Institute of Technology-Madras (IIT-M). A staggering 93,537 "bio-digesters" -- as the toilets are called --have been installed in mainline express and mail trains. However, sanitation experts and various studies -- including those commissioned by the railways -- have pointed out that most of the bio-toilets are ineffective or ill-maintained and the water discharged is no better than raw sewage. Over 900 trains currently have bio-toilets either in some or all of their coaches.